Harbors are enclosed coastal sites particularly vulnerable to anthropogenic-derived pressure with an important role for human society but with impacts on marine environments. While the chemical pollutants present in the ports are still known, little is known about the presence of bacterial pathogens, as descriptor of water quality and it is not clear whether these areas that are subjected to anthropogenic pressure can be considered as potential reservoirs for antibiotic resistant bacteria. In this context our research was focused on Messina harbor. The harbor is one of the main tourist settlements in the Mediterranean Sea and a big commercial traffic also. The aim of this study was to assess the distribution of potentially pathogenic bacteria and their profiles of antibiotic susceptibility within the Messina harbor, and to analyze the results also in relation with the main hydrological characteristics of the area. Results showed that the bacterial isolates a part of the bacterial population present in marine aquatic environments is resistant or multi-resistant to various antibiotics. This result could be linked to the fact that the Messina harbor is a commercial site and is located in a highly urbanized area. 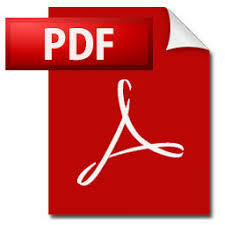 In this study case, as far as faecal pollution is concerned, the values obtained for the faecal indicators show that the examined area is not affected by an anthropic impact; also, there are no particular risks related to the presence of potentially pathogenic bacteria such halophilic vibrios. Harbors or sheltered bays are enclosed coastal sites particularly vulnerable to anthropogenic-derived pressure [1-4]. The role of such ecosystems is extremely important for human society, in relation to their concentration of economic activities related to transportation, exchange and production of goods; however, their impacts on marine environments is sometimes not fully understood . At harbor sites, contaminants such as heavy metals and hydrocarbons related to the shipping activities are recognized to be the main sources of pollution [6-8]; this is favored by the low hydro dynamism and by the heavy traffic of nautical vessels. Under these conditions, both the sediment and seawater are extremely enriched with organic matter, resulting in eutrophication phenomena [9-11]. Studies on harbors have focused mostly on chemical contamination [8,10,11] and the related effects on benthic fauna [1,6], while the dynamics of bacteria in these areas have been poorly investigated [3,4]. Particularly, little is known on the presence of bacterial pathogens, as a descriptor of water quality [12,13]. Microbial assemblages have been reported to be useful descriptors of environmental changes, especially where contamination occurs . Moreover, in contaminated areas, evidences of relationships between the occurrence of antibiotic resistances and the presence of pollutants have been reported [15-24], reinforcing the idea that the release into the environment of chemical compounds is driving the selection of antibacterial resistant strains . Regarding harbours, at present it is not clear whether these areas, like other environmental compartments that are subjected to anthropogenic pressure, such as municipal wastewater systems, or industrial effluents, can be considered as potential reservoirs for antibiotic resistant bacteria. Therefore, efforts are needed to explore the occurrence of antibiotic resistance determinants (bacteria or genes) in harbour systems. The Messina harbor, which opens on the western shore of the Strait of Messina, is among the largest and most important harbor in the Mediterranean Sea and today, with over 10 million passengers transported annually, the first in Italy for touristic activities (Fig.1) - kindly furnished by Azzaro et al. . The area near the center of city is potentially suitable to different kind of pollution mainly microbial and oil, coming from land or from ships. The aim of this research was to assess the distribution of potentially pathogenic bacteria and their profiles of antibiotic susceptibility within the Messina harbor, and to analyze the results also in relation with the main hydrological characteristics of the area, such as water mass circulation and tidal currents. The Messina harbor consists of a large bay enclosed by the typical natural sickle, which delimits an area of about 820,000 square meters. The entrance of the harbor, oriented to NW, is about 400 meters wide and extends between the Fort San Salvatore and the operational headquarters of the Port Authority. On a larger spatial scale, the Messina harbor is comprised within the Straits of Messina ecosystem, which is located between the eastern and western sub-basins of the Mediterranean Sea. According to their morphology, the Straits can be represented as a funnel with the less extensive part towards the north, at the ideal junction Cape Peloro (Sicily) - Torre Cavallo (Calabria); towards the south, however, this funnel gradually opens up to the cross of Cape dell' Armi (Calabria). The average depth of the harbor (about 100 meters from the docks) is 40 meters, while the seabed at the quay is between 6.5 and 11 meters; this allows access and berthing even to large tonnage vessels. With an annual traffic of over 260,000 cruisers in 2006 and a growth forecast of over 300,000 arrivals in next years, the harbor of Messina is also one of the main tourist settlements in the Mediterranean Sea. In June 2016, one surface seawater sample was collected using a Niskin bottle from five sites located within the Messina harbor (Figure 1). Figure 1: Messina Straits and the location of Messina harbor. Site 1 located outside the harbor, immediately beyond the peak of the Madonnina was chosen as the "control site"; site 2 (Porticciolo), site 3 (Boccetta) and site 4 (Customs) were sampled in the area in front of ground discharges, while site 5 was fixed in the middle point of the harbor (Figure 2). For the bacteriological analysis sub volumes of 1 Liter were transferred to sterile PVC bottles, which were stored at 4°C until analysis. TCBS agar (Oxoid), added with 2% NaCl, for the selective determination of marine halophilic vibrios, incubated at 24ºC for 24-48h. Furthermore, 0.1 ml of each sample was spread in duplicate on the surface of Marine Agar (MA, Conda Laboratories) plates, which were incubated for 7 days at 24ºC, to evaluate the abundance of cultivable heterotrophic marine bacteria. Figure 2: Sampling sites within the Messina harbor. Furthermore, the association between an inhibitor of the beta-lactamase and a semi-synthetic penicillin [amoxicillin + clavulanic acid, AMC, 30 µg] was also tested. All the antibiotic discs were acquired from Diagnostic Liofilchem. According to the disc diffusion method (Kirby-Bauer method ) a Muller- Hinton agar plate was spread with a suspension of each bacterial strain at a concentration of 0.5 Mac Farland standard; each antibiotic disc was placed on this plate, which was incubated for 24 hours at 24ºC. After this period, the bacterial inhibition halos were measured. The halos between 1 and 9 mm indicated bacterial resistance (R), halos between 10- and 18-mm intermediate sensitivity (I) while halos greater than 19 mm indicated the sensitivity of the strain to antibiotics (S). As an index of the dissemination of bacterial resistance within the bacterial population at a specific location, the Multiple Antibiotic Resistance (MAR) index was calculated, according to the formula a/b, where a represents the number of antibiotics to which the isolate was resistant, and b is the total number of tested antibiotics . Pearson correlation between environmental parameters and bacterial abundances was calculated. This study aimed at exploring the species diversity of bacterial assemblage inhabiting the waters of the Messina harbor, and the profiles of antibiotic susceptibility of some representatives; the ultimate goal of the research was to get insights on the spread of antibiotic resistance in the area. The surface water temperature ranged from 20.6 to 22.27ºC and the dissolved oxygen from 4.80 to 5.03 ml/l. The salinity was comprised between 38.25 and 38.48, values typical of marine waters which lead us to exclude the presence of diluted effluents such as those related to the discharge of allochthonous urban wastes. High density was measured at station 1, in correspondence with higher salinity and fluorescence (Table 1). The circulation within the Harbor is induced by the tides, mainly semidiurnal, featuring a maximum spring excursion of about 30 cm. The tidal wave is characterized by a relevant a symmetry with a very rapid flooding phase and a slower ebbing one. Frequenting versions of current direction can be observed along the vertical profile sat the harbor inlet, with the interface in the layer 15-20m. Within the harbor, the waters exhibit different thermoaline characteristics between the surface layer and the deeper part up to the seabed (Fig.3). Figure 3: Thermohaline characteristics in relation to depth in the different stations. Table 1: Mean physical and chemical parameters measured at the sampling stations, with indication of their geographical coordinates. At the surface prevail MMW (Messina Mixed Waters) formed by the mixing between Tyrrhenian and Ionian Waters in the Straits of Messina. In the uppermost 15-20 m they are relatively warmer with a clear seasonal thermocline, particularly in the stations within the harbor. In the layer underneath (below 35m) the deeper part of the basins occupied by denser Ionian waters. Due to its shape, the surface circulation within the harbor is characterized by a general counter-clock wise current path (in the order of few cm s-1) that experiences local re-shaping by the wind regime, so that the areas in the lee of the western docks present most of the connectivity with the external Straits except the case of wind from West that favors the uniform spreading of the waters in the whole basin [29,30]. The results of the bacteriological analyzes are shown in table 2. The analyzed stations did not show coliform contamination; only at the stations 1 and 2 the presence of faecal coliforms was detected, while in all the stations there were modest amounts of intestinal enterococci, indicating a previous contamination. High concentrations of heterotrophic bacteria, typical of the marine environment, were observed at station 5 only; the halophilic vibrios, whose abundance is correlated to the trophic state of the water, showed at all station’s values in the order of 102CFU/100 ml. For the screening of antibiotic susceptibility, sixteen bacterial strains were isolated in pure culture. These were also identified by the miniaturized identification system Api 20 E (Biomerieux). The biochemical identification profiles showed that the identified bacteria belonged to Pseudomonas paucimobilis (36%), followed by Flavobacterium sp. (20%); Pseudomonas maltophilia and Acinetobacter calcoaceticus were isolated with similar percentages (13%). Lower percentages of Alcanivorax sp., Pseudomonas sp. (6%) and Erwinia amylovorans were also found. The bacterial isolates were further tested for their sensitivity to antibiotics. Table 3 shows the results of the antibiotic susceptibility assay. From the obtained results, all isolates (100%) were very sensitive to Penicillin G, Ampicillin, Amoxicillin + Clavulanic Acid. 93% of the strains were sensitive to Cefalexin, Erythromycin and Rifampicin, while only 7% showed an intermediate sensitivity. Concerning Ciprofloxacin and Chloramphenicol 80% of isolated strains was sensitive and 20% was intermediate resistant. Resistance was observed against Oxacillin, Trimetoprim- sulfametazole and Vancomicin in a percentage of 7% of the strains, while 86% of them were sensitive. A high percentage of bacteria resistant against Tetracycline was also detected (53% of the total of the isolates), while 40% showed an intermediate sensitivity and only 7% of bacteria was sensitive. Percentages of resistance similar to tetracycline were recorded for Clindamycin, with resistance detected in 50% of the strains. With regard to Fosfomycin, 81% of the strains were resistant, while the remaining 19% were intermediate sensitive. (S: Sensitive, I: Intermediate sensitivity, R: Resistant, NG: Strain not grown). Against Cefotaxime, 33% of the strains were sensitive, 47% intermediate sensitive and 20% resistant; 69% of bacteria were sensitive, while 25% were intermediate sensitive and 6% resistant against Levofloxacin. Furthermore, 87% of the strains were sensitive, and 13% showed intermediate sensitivity to Gentamicin; similarly, against Cefoxitin, 93% was sensitive, 7% intermediate sensitive. The MAR index (not shown in table) ranged from a minimum of 0, calculated for the strain M1, to a maximum of 0.278, recorded for the strain M4, characterized by multiple resistances (to 5 antibiotics). On average, its value was 0.135; high MAR values (0.222) were also calculated for the strains M8 and M21, followed by a limited multiple resistance observed for the strains M11 and M19 (MAR: 0.167). The spread of antibiotic resistance (AR) is of fundamental importance for human health. Relatively little has been published on the incidence of AR in the marine microbiological environment, in fact, in the past, the main research has focused on the AR of bacteria in clinical environments, like hospitals, but the increase of infections acquired in communities of resistant bacteria has fueled the interest for genes carrying AR in natural environments. In fact, natural environments can play a very important role in the transmission of resistance, as they can act as reservoirs of AR genes (soil, glaciers and animals) and such genes can be transmitted to other bacterial strains with different mechanisms . In addition, sites such as aquaculture sites have also been monitored to avoid the incorrect use of antibiotics added to fish feed  to avoid that the consumption of aquaculture fish can lead to antibiotic phenomena resistance to man. Three main mechanisms can lead to the development of AR in marine environments: -1) the coastal runoff of AR bacteria from terrestrial sources; 2) the AR selection due to anthropogenic antibiotic outflow, which challenges native bacteria to become resistant, and 3) the selection for resistance in response to antibiotic production in marine environments. It is therefore necessary to distinguish whether the AR is in anthropogenic bacteria or in environmental strains. Therefore, we wondered if the bacterial genera isolated from the Messina harbor were environmental or pathogenic. The strains were grown only on Marine Agar, a culture medium similar to seawater enriched with organic substances; this first step already provided a first indication that the isolates were of environmental origin. Conversely, in culture media specific for coliform and anthropogenic bacteria, low abundances were recorded, showing the absence of faecal pollution in the harbor. The screening of bacterial isolates for their susceptibility to antibiotics performed in this monitoring pointed out that most bacteria were sensitive to all the antibiotics tested, suggesting that they had probably never come into contact with these compounds; conversely, a greater number of antibiotic resistances was generally observed against protein synthesis inhibitors and cell wall antibiotics, compared to nucleic acid inhibitors. Particularly, most of the tested strains showed resistance against 3 compounds, such as Fosfomycin (81% of the strains); Tetracycline (53%) and Clindamycin (50%). Tetracycline resistance was also observed by other authors and was predominantly conferred by genes that produce oxidoreductases, ligases, DNA binding proteins and regulatory proteins . Moreover, the same authors note that resistance to tetracycline and nitrofurantoin has been identified mainly in marine taxa (57% and 56% respectively) . In conclusion, this study showed that a part of the bacterial population present in marine aquatic environments is resistant or multi-resistant to various antibiotics, as previously indicated also by Moore et al. . This result could be linked to the fact that the Messina harbor is a commercial site and is located in a highly urbanized area, in the heart of the town, so it is possible that there are or that there have been spills of waters containing antibiotics (even if in traces) that have come into contact with marine bacteria. According to Moore et al. in-depth ecological studies are needed to help define the fate of AR marine bacteria in their natural environment and their ability to act as reservoirs and AR donors in pathogenic bacteria, many of which live transiently in the natural environment. The AR phenomenon thus assumes great importance as bacteria can transfer acquired resistance with plasmids or quorum sensing phenomena (as well as from pathogens to environmental strains and vice versa from environmental strains to pathogens). Thus, organisms living in the oceans (and in other environments) may represent a large reservoir of AR genes that currently do not cause resistance but can be activated under the right circumstances (for example, with the right promoter). 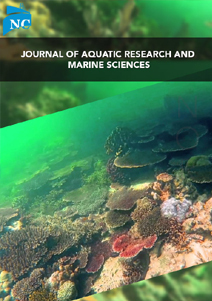 Beyond the purpose of this initial investigation, further and more detailed studies will be necessary in order to understand the diffusion of these phenomena in the marine environment. It would be interesting to repeat the monitoring including also the less commercial and less man-made areas to check if there are significant differences between the various sites. Finally, among the isolated bacteria Alcanivorax sp. was also identified. This genus, belonging to hydrocarbonoclastic bacteria, has the ability to degrade the alkanes and can become predominant in marine environments contaminated with oil or its derivatives. Alcanivorax had already been isolated in the Messina harbor [35, 36]. Another Gram-negative bacteria, Oleiphilus messinensis, isolated for the first time in Messina harbor, is capable to degrade aliphatic hydrocarbons, alkanoates and alkanoles as carbon and energy sources . The Messina harbor environment, thanks to its shape, contains a vast water mirror that develops in a sort of ellipse with depths ranging from 7 to 70 meters, and that, therefore, allows direct docking to the docks even to large tonnage vessels with high possibility of pollution from hydrocarbons. Overall, the results obtained in this first monitoring survey provide a snapshot of the quality of the Messina harbour waters; this information could be used to improve the management of routine port activities (dredging and ballast water exchange), which could have potential to spread pathogens in the sea. In this study case, as far as faecal pollution is concerned, the values obtained for the faecal indicators show that the examined area is not affected by an anthropic impact; also, there are no particular risks related to the presence of potentially pathogenic bacteria such halophilic vibrios. The present work has been co-funded by the Messina Port Authority and CNR-IAMC under the joint Research Agreement n. 000153signed on 24/2/2016, dealing with the “Measurement and modeling of the hydrodynamic functioning of the Messina Harbor”. Thanks go to dr. Vincenzo Laruffa who managed the project on behalf of the Messina Port Authority. Cardell M J, Sardà R., Romero J (1999) Spatial changes in sublittoral soft-bottom polychaete assemblages due to river inputs and sewage discharges. Acta Oecologica 20: 343-351. Meyer Reil L A, Köster M (2000) Eutrophication of marine waters: effects on benthic microbial communities. Marine Pollution Bulletin 41: 255-263. Fabiano M, Marrale D, Misic C (2003) Bacteria and organic matter dynamics during a bioremediation treatment of organic-rich harbour sediments. Marine Pollution Bulletin 46: 1164-1173. Misic C, Harriague A C (2009) Organic matter characterisation and turnover in the sediment and seawater of a tourist harbour. Marine environmental research 68: 227-235. Mali M, Dell Anna M M, Mastrorilli P, Damiani L, Ungaro N, Marinski J, Korsachka M (2015) Integrated Assessment of the Quality of Harbor Sediments: Case Study Based on a Comparative Analysis of Sediments Quality of Two Industrial Ports: Bourgas (BG) and Bari (IT). In Sustainable Development of Sea-Corridors and Coastal Waters Springer, Cham. pp. 3-20. Blanchard A L, Feder H M, Shaw D G (2003) Variations in benthic fauna underneath an effluent mixing zone at a marine oil terminal in Port Valdez, Alaska. Marine Pollution Bulletin 46: 1583-1589. Je J G, Belan T, Levings C, Koo B J (2004) Changes in benthic communities along a presumed pollution gradient in Vancouver Harbour. Marine Environmental Research 57: 121-135. Caplat C, Texier H, Barillier D, Lelievre C (2005) Heavy metals mobility in harbour contaminated sediments: the case of Port-en-Bessin. Marine Pollution Bulletin 50: 504-511. Estacio F J, García Adiego E M, Fa D A, García Gómez J C, Daza J L, Hortas F, et al. (1997) Ecological analysis in a polluted area of Algeciras Bay (Southern Spain): external ‘versus’ internal outfalls and environmental implications. Marine Pollution Bulletin 34: 780-793. Danulat E, Muniz P, García Alonso J, Yannicelli B (2002) First assessment of the highly contaminated harbour of Montevideo, Uruguay. Marine Pollution Bulletin 44: 554. Guerra Garcia J M, García Gómez J C (2005) Oxygen levels versus chemical pollutants: do they have similar influence on macrofaunal assemblages? A case study in a harbour with two opposing entrances. Environmental pollution 135: 281-291. Cabrini M, Cerino F, de Olazabal A, Di Poi E, Fabbro C, Fornasaro D, et al. (2018) Potential transfer of aquatic organisms via ballast water with a particular focus on harmful and non-indigenous species: A survey from Adriatic ports. Marine pollution bulletin. Luna G M, Manini E, Turk V, Tinta T, D'Errico G, Baldrighi E, et al. (2018) Status of faecal pollution in ports: A basin-wide investigation in the Adriatic Sea. Marine pollution bulletin. Caruso G, La Ferla R, Azzaro M, Zoppini A, Marino G, Petochi T et al. (2016) Microbial assemblages for environmental quality assessment: knowledge, gaps and usefulness in the European Marine Strategy Framework Directive. Critical reviews in microbiology 42: 883-904. Mc Arthur J V, Tuckfield R C (2000) Spatial patterns in antibiotic resistance among stream bacteria: effects of industrial pollution. Applied and Environmental Microbiology 66: 3722-3726. Baker Austin C, Wright M S, Stepanauskas R, McArthur J V (2006) Co-selection of antibiotic and metal resistance. Trends in microbiology 14: 176-182. Stepanauskas R, Glenn T C, Jagoe C H, Tuckfield R C, Lindell A H, King C J, McArthur J V (2006) Coselection for microbial resistance to metals and antibiotics in freshwater microcosms. Environmental Microbiology 8: 1510-1514. Pruden A, Arabi M, Storteboom H N (2012) Correlation between upstream human activities and riverine antibiotic resistance genes. Environmental science & technology 46: 11541-11549. Chen B, Liang X, Huang X, Zhang T, Li X (2013) Differentiating anthropogenic impacts on ARGs in the Pearl River Estuary by using suitable gene indicators. Water research 47: 2811-2820. Liang X, Chen B, Nie X, Shi Z, Huang X, Li X (2013) The distribution and partitioning of common antibiotics in water and sediment of the Pearl River Estuary, South China. Chemosphere 92: 1410-1416. Czekalski N, Sigdel R, Birtel J, Matthews B,Bürgmann H (2015) Does human activity impact the natural antibiotic resistance background? Abundance of antibiotic resistance genes in 21 Swiss lakes. Environment international 81: 45-55. Ouyang W Y, Huang F Y, Zhao Y, Li H, Su J Q (2015) Increased levels of antibiotic resistance in urban stream of Jiulongjiang River, China. Applied microbiology and biotechnology 99: 5697-5707. Wu Y, CP Y Y M, Liu S P, Yang X Y (2016) Occurrence of selected PPCPs and sulfonamide resistance genes associated with heavy metals pollution in surface sediments from Chao Lake, China. Environ Earth Sci 75: 43. Laganà P, Votano L, Caruso G, Azzaro M, Giudice A L, Delia S (2018) Bacterial isolates from the Arctic region (Pasvik River, Norway): assessment of biofilm production and antibiotic susceptibility profiles. Environmental Science and Pollution Research 25: 1089-1102. Berendonk T U, Manaia C M, Merlin C, Fatta Kassinos D, Cytryn E, Walsh F, et al. (2015) Tackling antibiotic resistance: the environmental framework. Nature Reviews Microbiology 13: 310. Azzaro F, Decembrini F, Raffa F, Crisafi E (2007) Seasonal variability of phytoplankton fluorescence in relation to the Straits of Messina (Sicily) tidal upwelling. Ocean Science Discussions 4: 415-440. Bauer A W, Kirby W M M, Sherris J C, Turck M (1966) Antibiotic susceptibility testing by a standardized single disk method. American journal of clinical pathology 45: 493-496. Titilawo Y, Sibanda T, Obi L, Okoh A (2015) Multiple antibiotic resistance indexing of Escherichia coli to identify high-risk sources of faecal contamination of water. Environmental Science and Pollution Research 22: 10969-10980. Bergamasco A, Mancuso M, Zaccone R, Caruso G, Monticelli L. et al. (2017) “Application studies aimed at activating the measurement and modeling system of the hydrodynamic operation of the port of Messina “Technical report in agreement between the port authority of Messina and IAMC- CNR UOS Messina- Activity A1 field activities”. Bergamasco A, Mancuso M, Zaccone R, Caruso G, Monticelli L et al. (2017) “Application studies aimed at activating the measurement and modeling system of the hydrodynamic operation of the port of Messina “Technical report in agreement between the port authority of Messina and IAMC- CNR UOS Messina- Activity A2 hydrodynamic functioning of the system”. Martínez J L (2008) Antibiotics and antibiotic resistance genes in natural environments. Science 321: 365-367. Laganà P, Caruso G, Minutoli E, Zaccone R, Delia S (2011) Susceptibility to antibiotics of Vibrio spp. and Photobacterium damsela ssp. piscicida strains isolated from Italian aquaculture farms. New microbiologica 34: 53-63. Hatosy S M, Martiny A C (2015) The ocean as a global reservoir of antibiotic resistance genes. Applied and environmental microbiology 81: 7593-7599. Moore P J, Rao J R, Millar B C, Goldsmith C E, Coulter W.A, Moore J E (2013) Antimicrobial resistance to 14 antimicrobials in marine coastal waters around Northern Ireland: Use of the novel Relative Resistance Index as a marker of ecological status. Journal of Marine Research 71: 389-398. Denaro R, D’auria G, Di Marco G, Genovese M, Troussellier M, Yakimov M M, et al. (2005) Assessing terminal restriction fragment length polymorphism suitability for the description of bacterial community structure and dynamics in hydrocarbon-polluted marine environments. Environmental Microbiology 7: 78-87. Genovese M., Cappello S, Genovese L, Denaro R L’uso dei batteri idrocarburo-degradanti per il recupero di aree contaminate (monitoraggio nei siti di Messina, Milazzo e Augusta). 17: 119-121. Golyshin P N, Chernikova T N, Abraham W R, Lünsdorf H, Timmis K N, Yakimov M M (2002) Oleiphilaceae fam. nov., to include Oleiphilus messinensis gen. nov., sp. nov., a novel marine bacterium that obligately utilizes hydrocarbons. International journal of systematic and evolutionary microbiology 52: 901-911.